With over 26 million people in the U.S. suffering from asthma, nearly 1 in every 13 people, asthma treatment comes in to question. There is hope that every individual with asthma is getting proper treatment and medication, but that may not be the case. Asthma is not the same for everyone, as symptoms can be very severe or barely noticeable and it can change over time. It is very important for your doctor to continuously monitor your asthma, as it can progress over time. When you are regularly checked, progression should be caught when you go in. 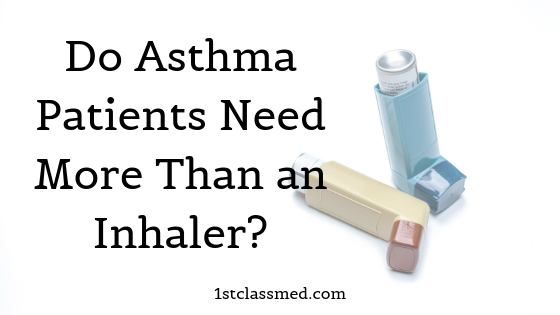 If you do not get checked regularly, but you notice that your inhaler is not working to fight off asthma attacks, you may need to make an appointment with your doctor. 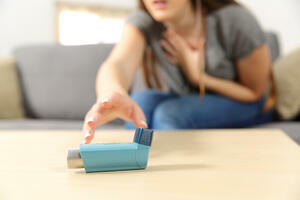 As asthma changes, your triggers can get worse and can result in severe asthma attacks that you may be unprepared for. The symptoms of asthma often get worse during an attack, which makes it very important to note any changes of your asthma. If you notice changes in your symptoms (i.e. having a more severe asthma attack around a trigger compared to normal or having a new trigger) it is then important to look into your treatment. Your treatment method should help resolve an asthma attack quickly and should not take an extended period of time to relieve. Depending on the individual, there are a few triggers that can cause a flare up or asthma attack. Triggers such as dust mites, pollen and mold are very common among asthma patients. Other triggers can be cold air, exercise, chemical fumes, perfumes, tobacco, smoke (from fires) and changes in the weather can all worsen asthma and possibly cause an asthma attack. In rare occasions the common cold, sinus infections and gastroesophageal reflux can all trigger an asthma attack. It is very important for those with asthma to know their triggers, as this way they can prevent any exposure to them. Another way to find triggers is to be tested for allergies, which would be done in a doctor’s office to determine what common allergic can trigger an asthma attack. If nothing shows up during their test, it is possible that you are not allergic to a common allergen, but something else. Flare ups of asthma do not always cause as asthma attack, but it can make it very difficult to breathe. Symptoms such as coughing, shortness of breath, chest tightness and wheezing are signs of an asthma flare up. It is possible that only one of two of these symptoms may occur, so not all symptoms need to occur in order to have an asthma flare up or asthma attack. Another sign of asthma flare ups can be you having to take extra doses of your asthma medication more than twice a week to ease symptoms. If you feel that your asthma medication is not doing enough for your symptoms anymore, meet with your doctor to discuss another plan of action in order to ease symptoms. You may be put on medication or have other forms of treatment in combination to minimize your asthma symptoms, flare ups and attacks. Treatments such as inhalers, inhaled corticosteroids, leukotriene modifiers, long-acting beta agonists, combination inhalers, bronchial thermoplasty and many other treatments. A common treatment for asthma flare ups is an inhaler, dosage is two to four puffs every twenty minutes for a total of three doses. If this treatment does not work and you need to take more than the prescribed dose, it is time to seek a doctor. If the treatment does not work, and continuing the medication for longer than thirty minutes, seek emergency medical attention right away. A nebulizer treatment may be used if you do not have an inhaler, but the same goes for this, if it does not work after the dose timing, seek medical attention immediately. After using your quick-relief medication, your symptoms should subside, and you should feel better after using it. Commonly, doctors of younger and older patients recommend an Asthma Action Plan, which helps break down directions for mild, moderate and severe flare ups that can occur. This action plan can make it easier on teachers and care takers of asthma patients who may not know what steps need to be taken based on certain symptoms. There is also a possibility that your asthma has changed into something else, and asthma medication will no longer work for you. If your asthma medication and treatments do not seem to work no matter what you are prescribed, speak with your doctor about meeting with a pulmonologist. Asthma can turn into other respiratory diseases such as COPD (chronic obstructive pulmonary disease) if it is not controlled and managed appropriately. Your doctor or pulmonologist will help treat asthma, and if it does progress into another respiratory disease, they will help diagnose and treat it as well. For over 26 million people in the U.S. asthma is a respiratory disease they have to live with on a daily basis. 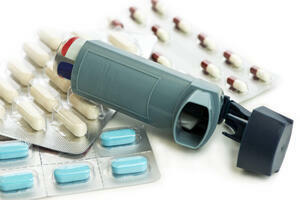 Treatment and medications for this disease may not be prescribed enough for individuals suffering with asthma. Medical professionals should be reviewing their asthma patient’s health, checking in to make sure the disease is not progressing. If the disease does progress, other medications should be prescribed to help treat and manage the disease. It is possible that asthma progresses into a more serious respiratory disease, and it may require a visit to the pulmonologist.